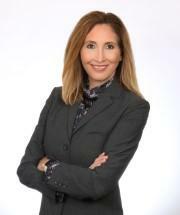 Tracy A. Meyer is a Virginia family law attorney, having more than 23 years of experience in domestic relations matters representing her clients throughout Northern Virginia and surrounding areas including Prince William County, Stafford County, Spotsylvania County and the City of Fredericksburg. Ms. Meyer aggressively represents her clients in all aspects of family law, including counseling and representing clients in the negotiation and drafting of prenuptial agreements, divorce, custody and visitation, support, division of marital assets, post-divorce modification and enforcement issues and protective orders. Ms. Meyer has also developed a special interest in mental health issues and divorce such as confidentiality and record-keeping. Ms. Meyer is consistently recognized in Best Lawyers in America for Family Law and she has been selected for inclusion in Virginia Super Lawyers since 2012. She was also recognized as one of the "Top Divorce Lawyers" in Metropolitan Washington, D.C. in February 2009 by Washingtonian magazine. Ms. Meyer is rated "AV Preeminent" by Martindale-Hubbell, which is the highest peer rating that is given. She has been named as a Top Lawyer in 2017 by Northern Virginia Magazine and was selected as one of Virginia's Best Women Lawyers as published in Virginia Living in 2017. She has received the top rating possible, "Superb, 10 out of 10" from the Avvo ratings website. Ms. Meyer lives in Fredericksburg, Virginia with her husband and their three children. In her free time, she enjoys spending time with family and friends, working out, boating and movies.